Chapter board member Brian Cebull along with his father Rick Cebull travelled to the McKenzie Mountains of NWT Canada. 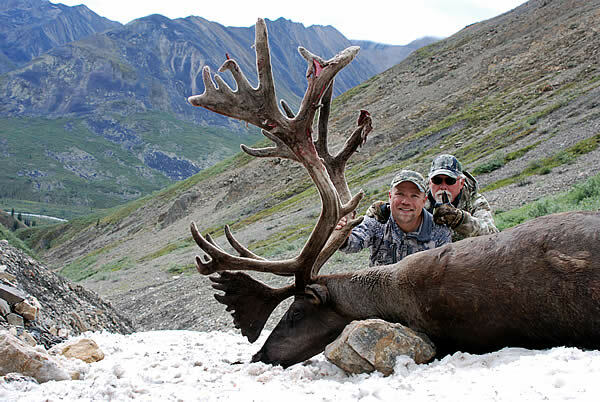 Brian took this great mountain caribou 30 miles from the Yukon border. Yes that is snow Brian, Rick and his trophy are sittng on. Brian reported his dad also took a great bull later in the hunt with this being one of his most memorable hunts have been with his dad for this special hunt. Don’t all of us wish we had spent more time hunting with our dads?